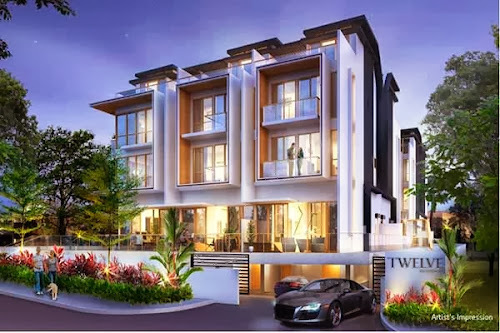 Twelve (12) Residences by Development 72 Pte Ltd presents a brand-new Cluster House located at the former Hillside Gardens in Hillside Drive, in prime District 19. Comprises of 3-storey clustered housing with basement parking, terraces, and attic. Experience the exquisite life of the excellent house and refreshful ambiance for your lifestyle. State-of-the-art facilities give you with the ideal mix of convenience and comfort. Just the premium quality finishings will be put up in Twelve (12) Residences. Excellent brands take their mark in the well-planned houses, presenting that pampering feel you want. Twelve (12) Residences is near to some shopping plazas like Heartland Mall, Upper Serangoon Shopping Centre, Ang Mo Kio Hub, Paya Lebar Mall, NEX Shopping Mall, and Hougang Mall. Close to famed Marina Bay Sands, Vivo City, and Orchard Shopping Belt. Linked to several MRT stations include Kovan MRT, Serangoon MRT, and Lorong Chuan MRT. It's nearby to major road and expressways like Upper Serangoon Road, Kallang-Paya Lebar Expressway (KPE), and Central Expressway (CTE). Several prestigious schools neighbouring include Holy Innocents' Primary School, Yuying Secondary School, Maris Stella High School, Xinmin Primary School, Zhonghua Primary School, Xinghua Primary School, Paya Lebar Methodist Girls' Primary and Secondary School, Stamford American International School, Rosyth School, and DPS International School. See http://www.twelve-residences.com/ for additional info or call the marketing team at 6100 0877 for queries.